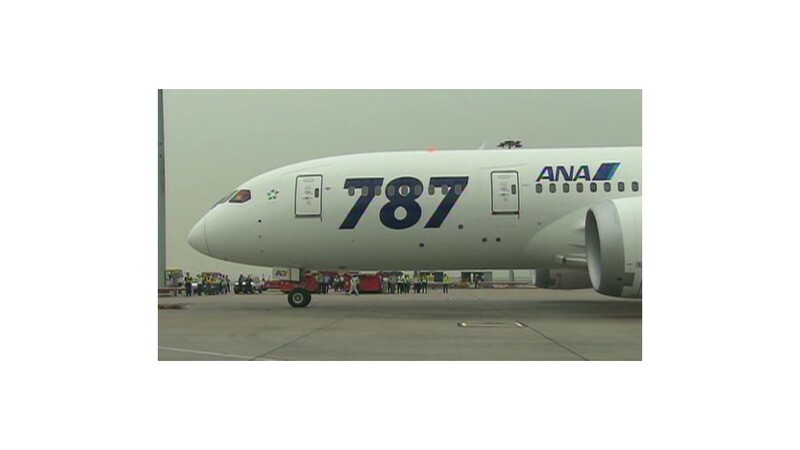 A Boeing 787 Dreamliner arrives at Beijing Capital Airport. Boeing shares have come under pressure following a series of incidents involving its new 787 Dreamliner. On Monday, a fire broke out on an empty Japan Airlines 787 on the ground in Boston. The fire was traced to batteries used to start the auxiliary power unit, which provides electricity while the plane is on the ground. The National Transportation Safety Board is investigating the incident. On Tuesday, meanwhile, a different Japan Airlines 787 flight in Boston was canceled after a fuel leak was discovered while the plane was preparing to depart. And on Wednesday, in a third incident, an All Nippon Airways 787 flight in Japan was canceled after the crew discovered an error message related to the plane's braking system. Boeing shares slipped 0.3% in premarket trading Wednesday, after falling 2.6% Tuesday. Boeing (BA) spokesman Doug Alder declined to comment on Tuesday's incident; as for the fire on Monday, he said Boeing is working with Japan Airlines "to understand exactly what happened." A Boeing spokesman contacted early Wednesday said no information was immediately available on the All Nippon Airways flight. Boeing's long-delayed 787 Dreamliner made its first commercial flight in October of 2011. Forty-nine Dreamliners have been delivered so far, Alder said, with about 800 still on order. 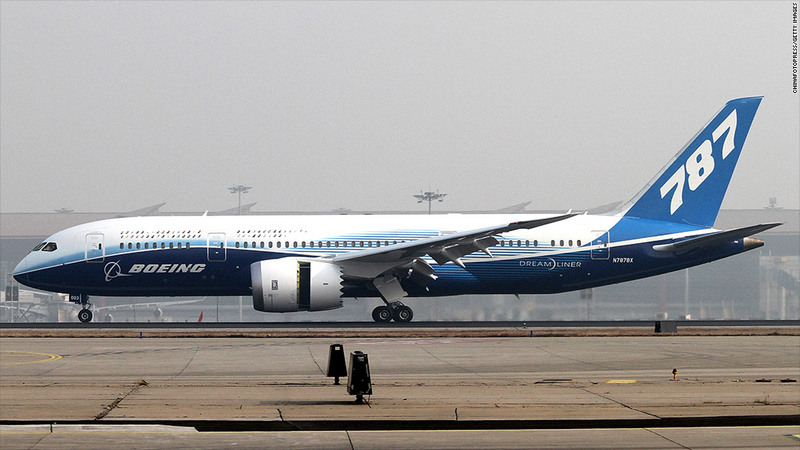 Michael Derchin, an analyst with CRT Capital Group, called the 787 fleet "critical" for Boeing. But he said the incidents this week weren't anything to be concerned about, and would likely have only "a short-term impact" on the stock. "That's the airline business -- little things are always happening," he said. "This is a product that really was a game-changer," he added. "Unfortunately it had a lot of problems at the beginning, but the company has gotten its act together." In 2010, fire caused a 787 test flight to lose primary electrical power while flying from Yuma, Arizona, to Laredo, Texas. It landed safely using backup systems, and the 42 people aboard evacuated using emergency slides. A 787 engine failed during tests on the ground in South Carolina in July of last year, and inspectors found a similar problem on another aircraft in September. In December, another relatively new 787 operated by United Airlines was diverted safely to New Orleans after experiencing mechanical problems. "The 787, being a new airplane, does have teething problems," John Goglia, a former member of the National Transportation Safety Board, told CNN. It's common for new plans to have "these kinds of problems," he added. -- CNN's Yoko Wakatsuki and CNN Wires staff contributed to this report.